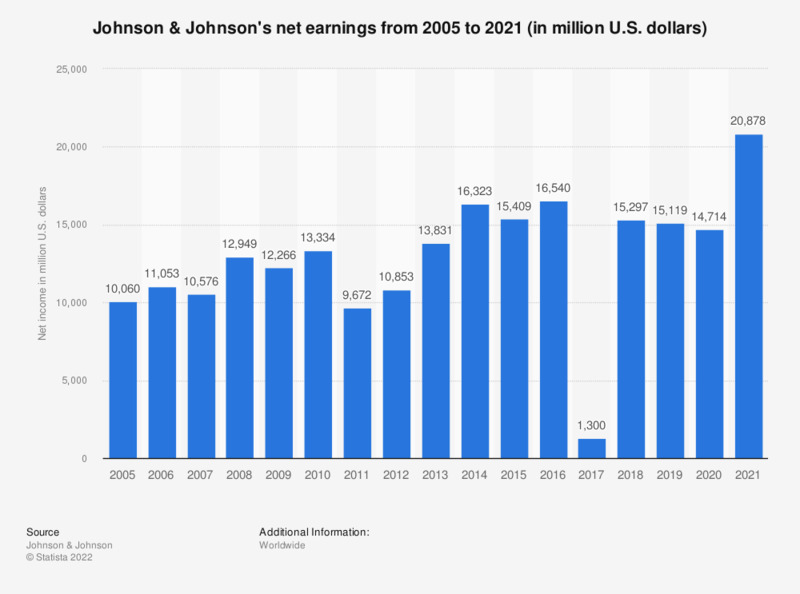 This statistic depicts Johnson & Johnson's net income from 2005 to 2018. In 2016, Johnson & Johnson's net income stood at some 16.5 billion U.S. dollars. Johnson & Johnson is a multinational company, specialized on pharmaceuticals, medical devices and consumer goods. The company is headquartered in New Brunswick, New Jersey. This statistic was assembled from several editions of Johnson & Johnson's annual financial report. Everything On "Johnson & Johnson" in One Document: Edited and Divided into Handy Chapters. Including Detailed References. Statistics on "Johnson & Johnson"
Drug Store/Pharmacy Market in the U.S.